BEIJING (Reuters) - Chinese regulators are investigating Pinduoduo Inc after media reports of third-party vendors selling counterfeit goods on its group-discounting marketplace, a move analysts said is likely to further batter the firm's newly listed shares. The probe comes just days after the Shanghai-based startup raised $1.63 billion in the year's second-biggest U.S. listing by a Chinese firm, which valued Pinduoduo at $23.8 billion. "We did a lot of work but are still far from meeting society's expectations," Pinduoduo said in the statement. "It's normal to see a fast-growing startup having compliance issues," Li said. "Essentially, it comes down regulation on quality management." Pinduoduo said it has 300 million active buyers and reaches a consumer group living outside China's megacities. 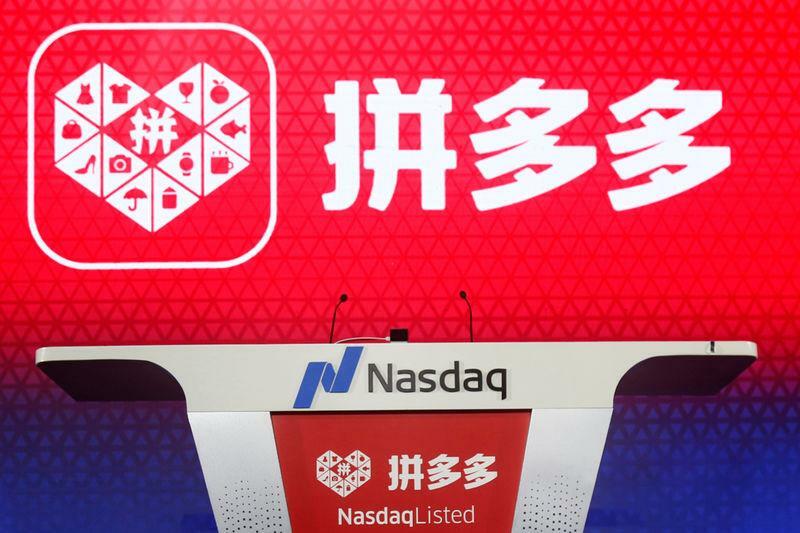 Its massive IPO saw it ranked alongside other Chinese e-commerce giants such as Alibaba Group Holding Ltd and JD.com Inc. Many jokes described such goods using the phrase "shanzai", a term often used to refer to look-alike products featuring purposely misspelled names of big brands. On Tuesday, state-backed Beijing News said Pinduoduo removed listings for television brand "Xiaomi New Product", which is unrelated to Chinese smart gadget maker Xiaomi Corp. In the United States, a diaper maker has filed a complaint with a federal court, claiming Pinduoduo knowingly allowed the sale of counterfeit products bearing the company's name on its site, according to lawyers representing the diaper company. In January, the U.S. Trade Representative put Alibaba's Taobao platform on its blacklist for the second consecutive year over suspected counterfeits, a move the e-commerce firm said did not reflect its efforts to protect intellectual property.